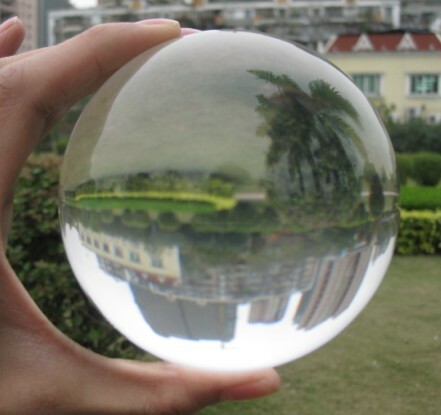 OK, OK...it's not really a true crystal ball! But your audience need never know! These ultra high quality acrylic balls are ideal for dressing up your stage or your magic den. They're also ideal for "telling fortunes"...or if you're a juggler, they're perfect for contact juggling. 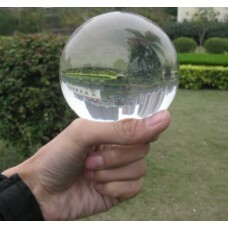 These "crystal" balls are precision-machined and highly polished from optical-grade quality flawless acrylic. They are individually inspected to guarantee being free of internal distortions. They are tough, chip resistant and virtually shatterproof. LARGE size - approximately 4" in diameter.